Discussion in 'Misc' started by DMWD, Dec 15, 2018. Did you know you can reach exponentially more users by using mobile apps? 1. Is there a free trial to test the app maker? You are able to fully create your mobile app with our visual drag and drop mobile app maker before paying. You can even see what it will look like within the app creator visual builder. 2. After I complete my app and pay, how long until I get it? In most cases, you will receive your app credit instantly. However, to prevent fraud we manually verify transactions and depending on the payment method used, it could take up to 24 hours. 3. How do I publish the mobile app that I build? You publish it under your own developer account. We show you how to easily get started with your own developer account. 4. What happens if I cancel my subscription? Your app will no longer be live. 5. What are some of the features of App Maker? No refunds will be provided once a subscription has started. Post in the thread to receive your BHW exclusive discount! Approved - this is possibly the easiest App creator I have come across and so easy even I can create an App in there. Nice backend, easy flow and a very clear process. Good luck with sales although with the quality of this service I doubt you'll need any luck. Can I make a sports score app that I can update every minute with live scores? Is it possible to get the source code when creating the app with your tool? Can you use any "imported modules"; such as an image recognition library? Some specific things, such as Siri or 3D touch / vibrating on the newer phones implemented? Thank you for your review and kind words! I am glad that you have found Mobile App Builder to be easy to understand and use. You can connect Mobile App Builder to an already existing website that has these features created easily. Turn your website or Shopify store into a mobile app, or create your own from scratch! Get started for free at https://www.mobileappbuilder.io/appbuilder/creator-software/. what happens if I unsubscribe after publish my app? Turn your website or Shopify store into a mobile app, or create your own from scratch! Get started for free at https://www.mobileappbuilder.io/appbuilder/creator-software/. Turn your website into a mobile app or create your own mobile application from scratch, quickly and easily! 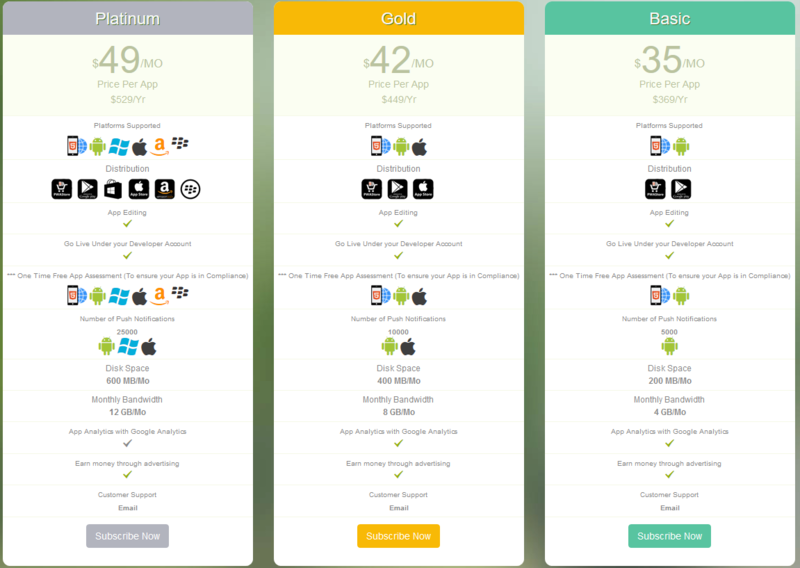 ok, but price seems high with compare to other app builders, any reason ? Thanks, I had sent Jhon a PM that day since I was in the 24 hour response period. Mobile App Builder is competitively priced. The price is actually lower than most major mobile app builders, especially when you compare all of the features as well as limitations imposed. Get 50% OFF any plan on Mobile App Builder! PM me if you are interested or post in the thread and I will send you the code! gonna make a free app, if it scale will pay for plan. is it possible to see an example app made with this?